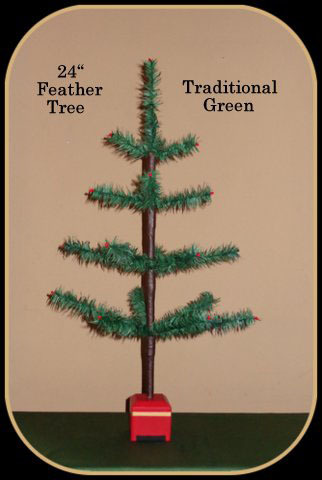 The 24 inch tree is the first one we made when we decided to start our business. This tree with its olde world charm and simplicity, has become a favorite for our customers. The diameter is 14 inches and it has 4 tiers of branches.